Taylor Thomas ’16 talks about her successes, opportunities, and travels as an undergraduate researcher in Religious Studies. 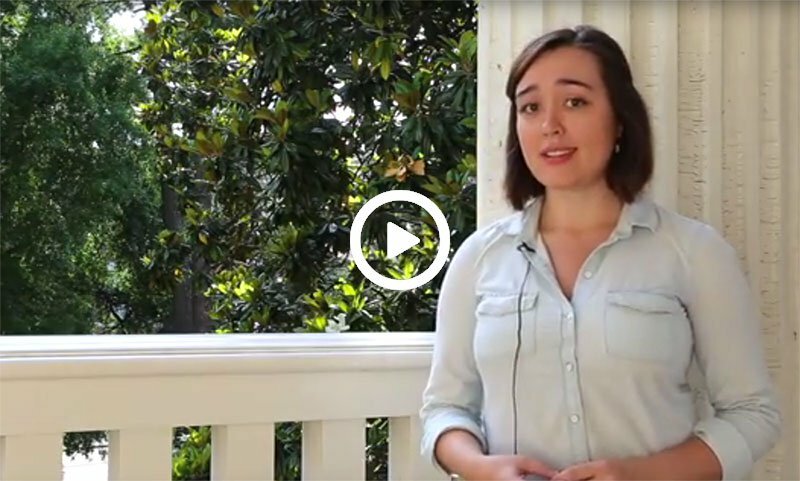 Note: this video originally formed part of the department’s VOLstarter campaign to raise funds for the new Undergraduate Research and Travel Fund in fall 2016. Entries will be evaluated by a committee of three Religious Studies faculty from different regional specializations that will rotate its members annually on a regular basis. Each entry will be evaluated by two faculty members, and faculty will recuse themselves from evaluating their own students' work. Submissions will be evaluated on the quality and originality of research and their contributions to the field of Religious Studies. The winner will be announced at the annual department awards ceremony in late April. The Department has two funds that it can use to support travel and expenses related to research, whether locally, nationally, or internationally. Awards cannot exceed $500. Students are also advised to visit or consult the Center for International Education, especially the McClure Scholarship Fund. For more information on Undergraduate Research at UT (such as working with a faculty member over the summer), click here or consult a faculty member. For service-learning projects, consult the Office of Service-Learning as well as your faculty mentor. For information on student achievements in undergraduate research, click here.